In both my own training and that of my athletes, hill workouts tend to a be staple. It doesn’t matter which phase of training we are in, or what kind of race we are preparing for, there is always a benefit to using a hill workout. That being said, not all hill workouts are created equal. Depending on what part of a training block you’re in and what kind of goal race you have on the horizon, there are different types of workouts that can be very powerful. I’m going to outline a few of the main categories of hill workouts I use, when you would implement them, and give an example of such a workout. Max intensity hill sprints are done on a very steep incline and are 8-10 seconds in duration. I was first introduced to maximum hill sprints when I was training with Brad Hudson. He would have us do them 1-2 times per week at the end of an easy run (usually the day before a workout), never as an actual workout. They should be done at maximum intensity (a.k.a. run as fast and powerful as you can!) and always take full recovery between each repeat. The first time you do these, you will be sore! Start with just 1 day per week and 4 hill repeats. Eventually you can work up to two days per week of 8-10 hill sprints. The main idea behind max intensity hill sprints is that they force your body to recruit high amounts of muscle fibers and to maintain efficient and powerful biomechanics. There is also a great injury prevention component to such a workout because while you’re body can sometimes get lazy when running slower, sub-maximal efforts allowing for all kinds of imbalances to develop, during a max hill sprint there is no option for a muscle group not to do its part. These can really be used throughout the duration of a training block. But, two times in particular that are beneficial are during the early stages of a training block to safely work on speed development, and also during the peaking phase to maintain efficiency and power. The hill climb was another Brad Hudson “special” during my time training with him. I was once quoted as saying that this workout “feels like marinating in lactic acid for 35 minutes.” And, it does. The hill climb is typically a 5-6 mile climb on a grade of 5-6% at a tempo or threshold effort. The idea is to find a grade that is challenging, but still manageable enough to hit a pretty quick pace. The main factor is to find something is a consistent uphill for the duration of the workout. So, if you aren’t fortunate enough to live somewhere where 6 mile hills are common, a treadmill is a great alternative. There are two times in a training phase when I think the hill climb is most appropriate. 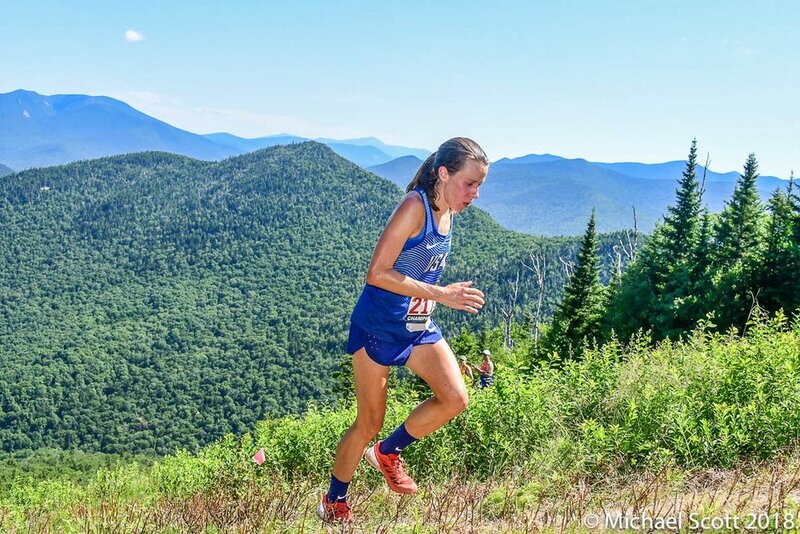 Similar to the previous category of workouts, the hill climb is a great way to get in an a longer, harder aerobic effort in the early part of a training block when an athlete simply may not be fit enough to run a quality longer, sustained tempo. Another useful time to implement the climb is a few weeks out from a goal 10k or half marathon. It serves as a very useful 10k race simulator in terms of the focus, mental engagement, and intensity that must be maintained for what should be pretty close to race duration in terms of time. However, it doesn’t bring the risk that would come with trying to hit race pace for that long. Similar to the previous section, if you’re a trail or ultra runner, I think hill climbs can be utilized more consistently because of the demands that come with racing with lots of vertical gain and loss. To round out our categories of hill workouts, I’ll wrap up with alternating hill repeats and fast, flat intervals. The first scenario that would lead to me to prescribe such a workout would be to practice maintaining race pace at the end of a race such as a 5k or 10k when fatigue sets in. While there’s a time and place to utilize a peak workout that might have a similar focus by using race volume all at race pace (i.e. 6 x 1 mile at 10k pace), this is a way to accomplish a similar idea when the fitness may not be at that point, yet or when you want to minimize the risk of doing such a demanding workout. To stay consistent with the goal race of a 10k, an example would be doing a 2k at 10k race pace, 4-5 x 2 minute hills, and finishing with a 2k at race pace or sub race pace. The second scenario that leads me to use alternating fast and flat intervals with hills is really any kind of race prep for a trail race. When racing on the trails, rhythm and consistency is non-existent. You’re constantly going from steep uphills, to steep downhills, to flat runnable sections. You can easily hit all paces on a spectrum in just a matter of a few miles. Not only is it hard to physically get used to this unique quality, but it’s mentally challenging, as well. With practice, it becomes much more manageable and comfortable and the efforts absolutely pay off. After preparing, you’ll be surprised at how easily you can go from running threshold pace on a flat section, to blasting up a steep hill. One of my favorite workouts for this type of training is 4 x 200m fast, 3 x 2 min hills, 4 x 200m fast, 3 x 2 min hills, 4 x 200m fast. The constant transitions between hills and fast repeats makes this workout so much harder than it sounds. This is just a small snippet of all the different training goals you can accomplish by consistently implementing hills. I’ve only scratched the surface in describing some of the benefits that I think come with these types of workouts. But, I hope this post at least provided a little bit of insight into why I think hills should be an integral part of any training program.